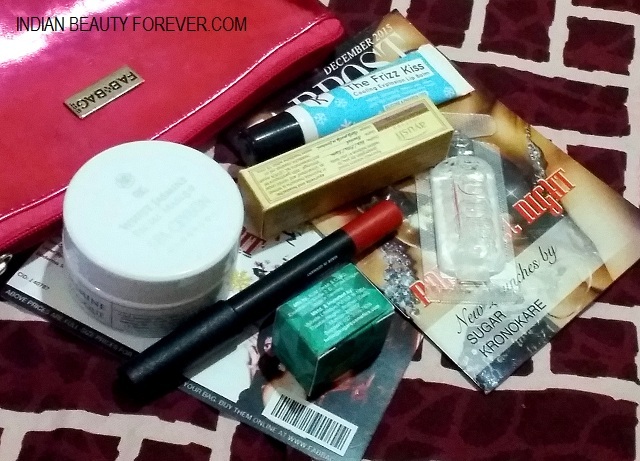 I am back with the December fab bag. 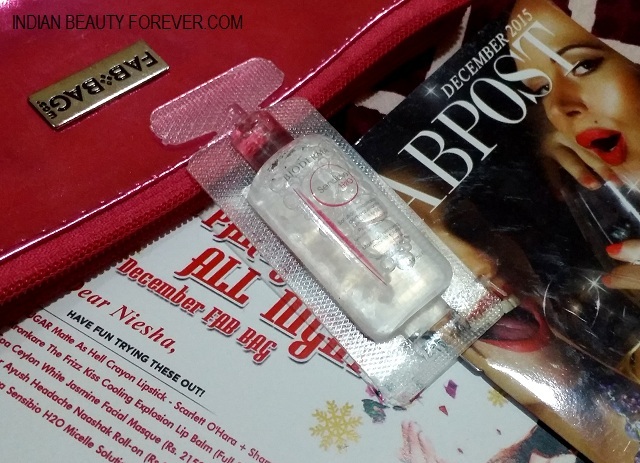 December fab bag has the same pouch that I have received earlier but is filled with new surprises. Read: Goodies. The shiny metallic pink bag is good for gifting things to your girlfriends. Let’s sneak in what products and there to explore. 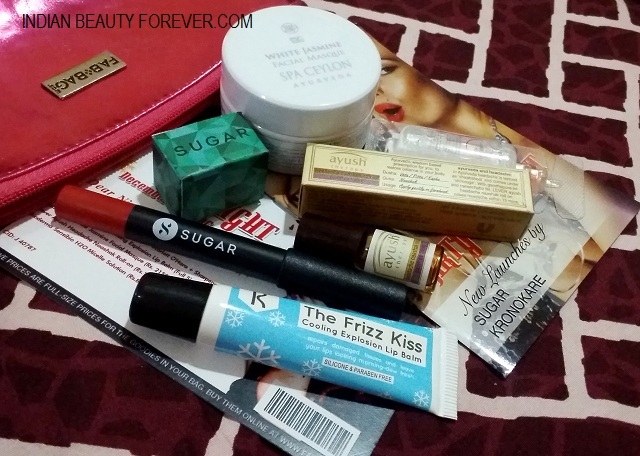 Here are the products that I got in my December fab bag. That was a really long name for a lip balm. 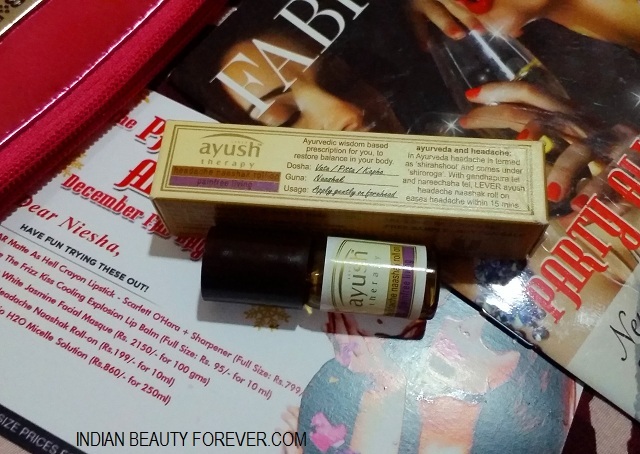 : ) The lip balm is a tube pack which is handy to carry in a bag or clutch. I like that this is paraben free and silicone free and heals the dry chapped lips. And also gives that cooling sensation when you wear it. I love anything with jasmine as an ingredients yes I said that for neem as well :D but here I like the scent of Jasmine a lot. 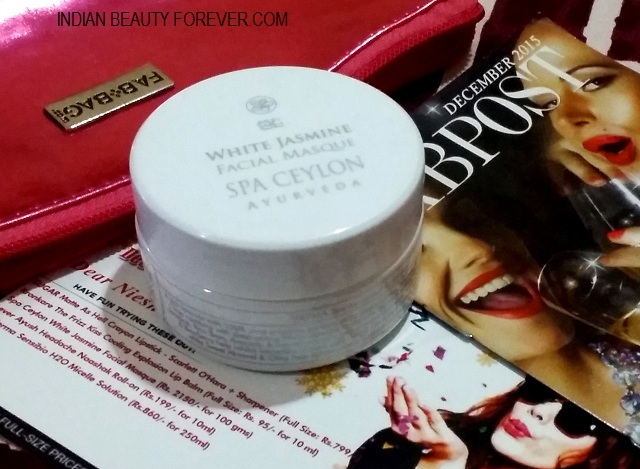 This Jasmine facial masque is for 2150 for 100ml and the sample size is 50 g which is really great considering the price of the bag is only 599 INR. I am gonna use this for sure. You may not known but I have this problem of headache which are quite frequent so for that I don’t take medicines, I like to use balm and this roll on for headache will be extremely useful product for me. By the way this is a Hindustan Lever product. I love this product. I have used this earlier as well and have got this earlier as well in one of my Fab Bags. 250 ml of this makeup cleanser costs 860 rupees. I am using Vichy at the moment will review that soon. That product is something to try. I absolutely loved this month's bag. If you liked the products you should definitely place your orders for December Fab bag to receive the exciting products. So many awesome products! That face mask sounds wonderful. Super luxurious and pampering. I really liked the lip crayon. 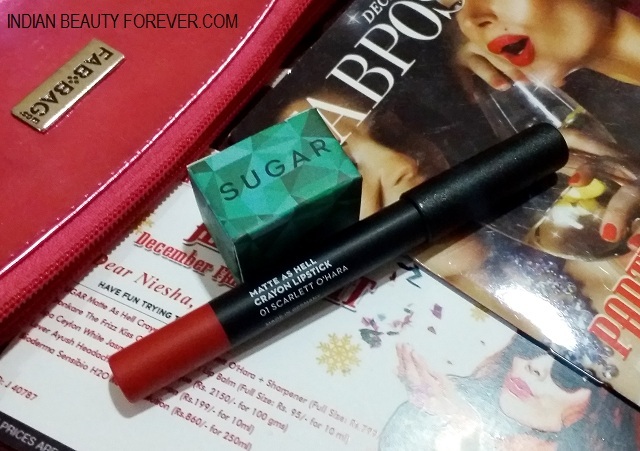 The shade is perfect for the festive season.